Tumblr is a microblogging and social networking site owned by Yahoo. What makes Tumblr interesting is that it gives its users liberty to customize everything, you can edit raw HTML to adjust your custom themes or you can select one the Free Tumblr Themes available to reform your Tumblr blog. Tumblr themes should be selected, so that it represents your Tumblr blog as you want it to be and make your Tumblr blog more interesting to the community you want to connect with. 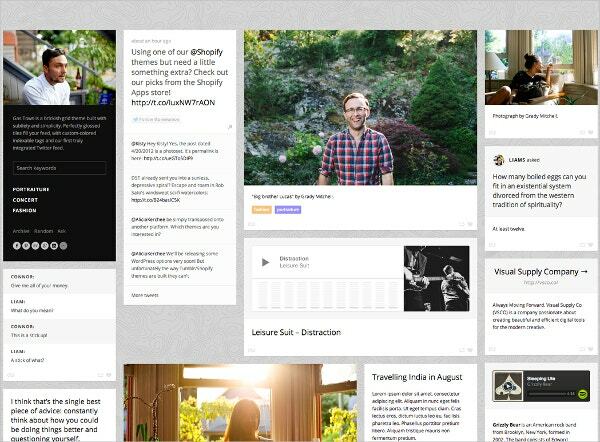 These are contemporary themes which will give your blog a personal look. These Tumblr Themes are compatible with IE11, Firefox, Safari, Opera, Chrome, Edge web browsers. These HTML files are well documented and are in fully responsive layout and works great with different size devices. This file has 14 plus widget types with slide out menu and search. 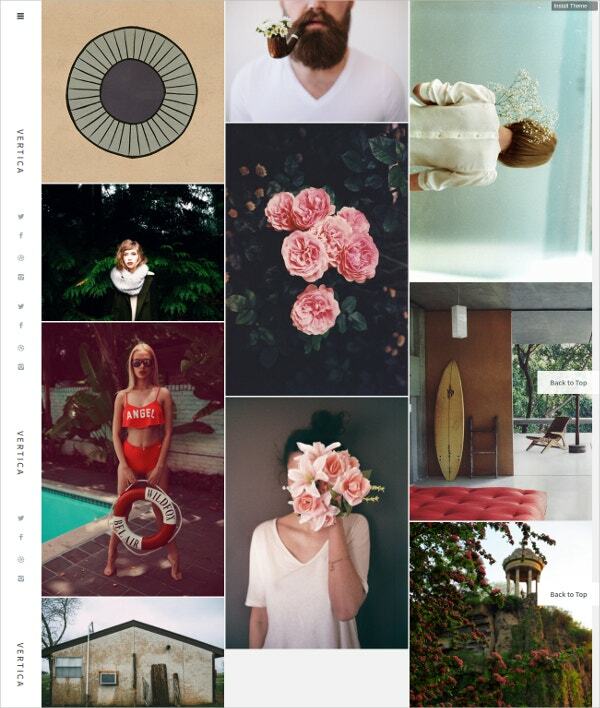 This delicate Tumblr theme has a changeable background image. The theme is retina ready and scalable. You can control the text opacity in this theme and it supports all post types such as photo sets, videos and answer posts. This theme also supports for search and has a gorgeous selection of web fonts. This beautiful and stylish theme is great for displaying portfolios. 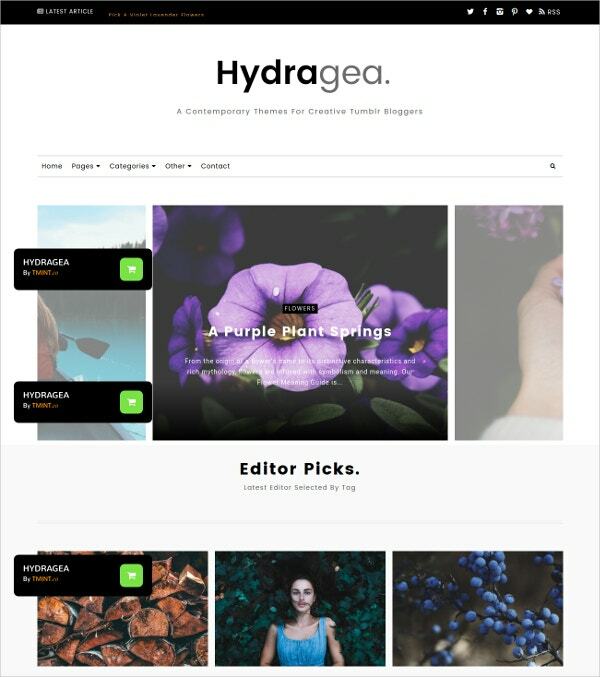 This theme has a slider, stylish thumbnails and a variety of footer widgets which allow you to share your content across other social media accounts. All the design details, colors, fonts, text and typography can be customized. This theme has a feature of keyboard navigation which makes it easy for the readers of your blog to flick around your site with their keyboard. 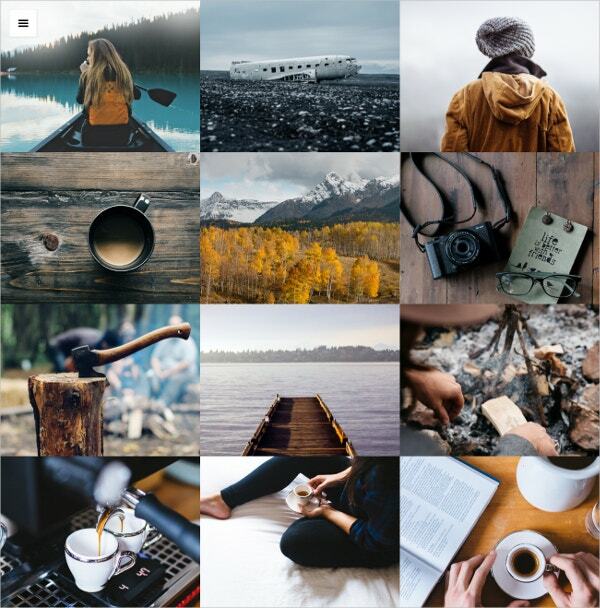 This theme allows you to showcase your photos in full screen with a grid system. You can put up to 16 photos and it has a retina ready layout. 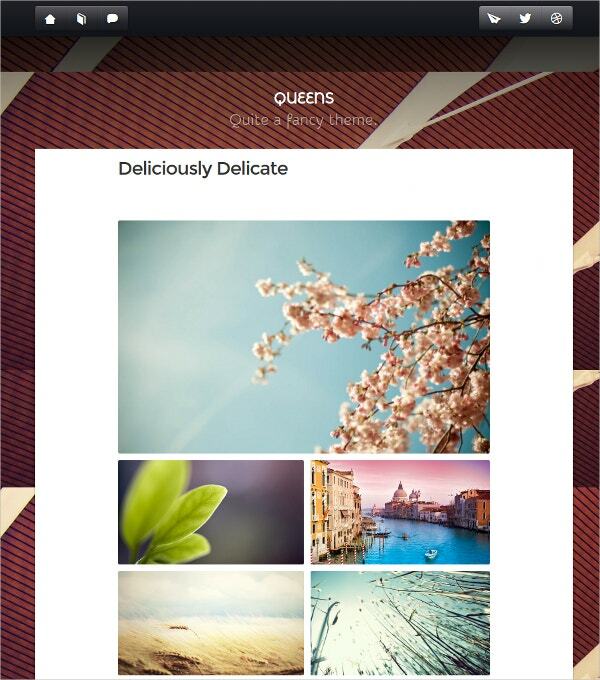 It supports many custom widgets which allow you to share your work on your favorite social network. The theme supports to create and manage additional pages. 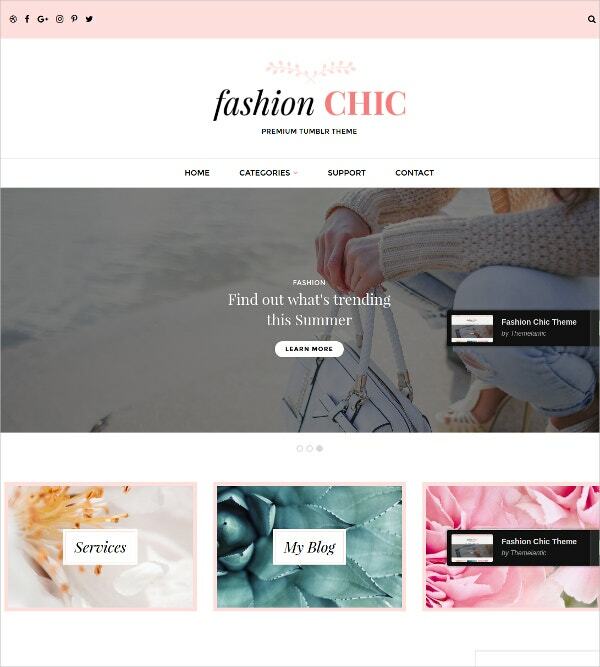 This Tumblr theme is perfect for any fashion or lifestyle blog. You can put your photos in a large slider for easy usage. The theme supports different sidebar widgets for easy sharing. 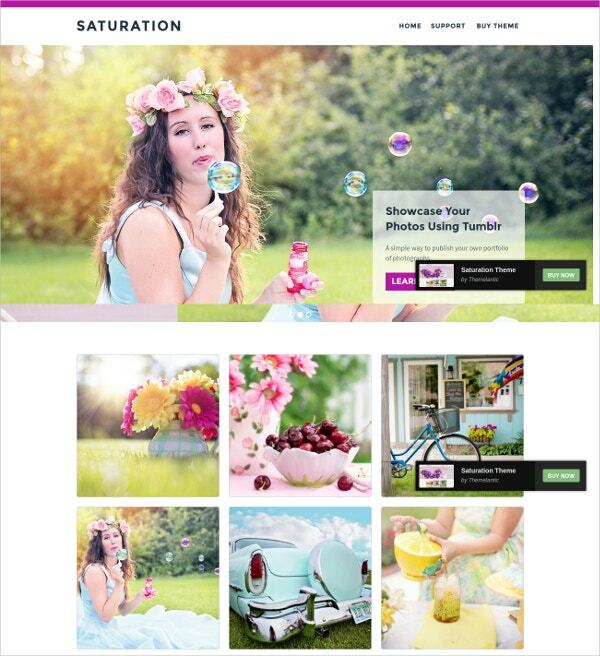 This theme can be used for advertising purpose also by simply adding links to your photos. The theme is completely customizable. 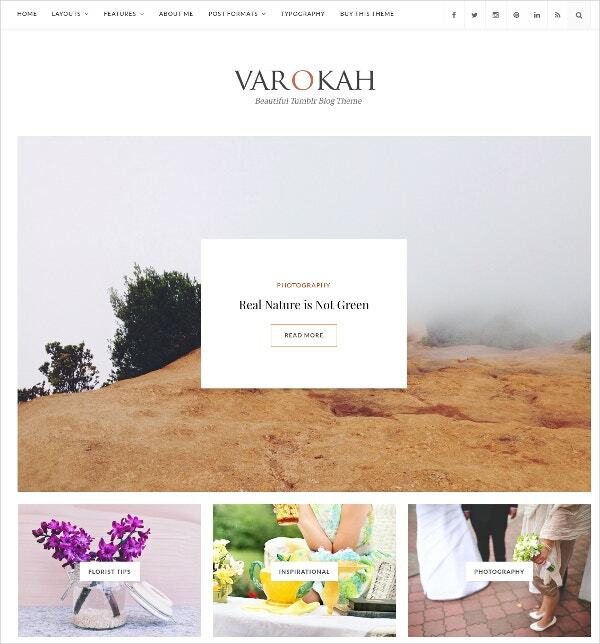 This is a personal Tumblr blog theme with clean design and can be used to showcase any type of work. This theme is made for easy customizing with a responsive and modern layout. It supports all type of formats and has a custom featured tag slider. It is easy to use and install. This theme is simple and subtle with grid style. The theme has a customizable logo, background image, and accent colors. The theme has more than 20 social media icons. In this theme, you can easily create up to five featured tags and galleries. You can integrate tweets directly into your blog. This Tumblr is perfect for the people who have an account on Instagram. In this theme, you can directly upload photos from Instagram app to Tumblr. The theme has a responsive design and works great on any device and in any resolution. The theme is easy to use and customize. Tumblr is a great platform for photographers and photo bloggers. A Tumblr blog can be used to set up an online photo gallery or portfolio website. To optimize your photography blog and make it interesting, you need good Tumblr photography themes. A Tumblr theme can make a blog more attractive and easy to use, both for users and viewers.